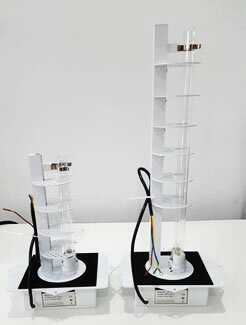 Wall-mounted UVGI high lamps that generates a field germicidal energy in the upper air spaces of high risk areas. Highly suitable for corrective IAQ maintenance management. 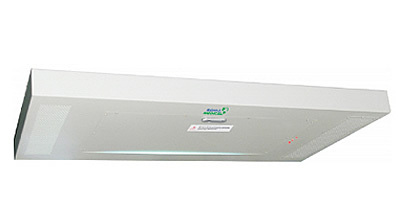 Installed within HVAC systems to target airborne pathogens channelled through the ducting systems. Also reduces contamination on the A/C coil to reduce a build up of microbial contamination and this invariably reduces energy consumption. Highly effective as a tool for preventive maintenance management. 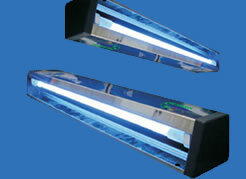 Ceiling-mounted UVGI high lamps that generates a field germicidal energy in the upper air spaces of high risk areas. Highly suitable for corrective IAQ maintenance management. infection-control measures (e.g., ventilation) in settings where persons with undiagnosed TB could potentially contaminate the air (e.g., waiting rooms, emergency rooms, corridors, central areas).